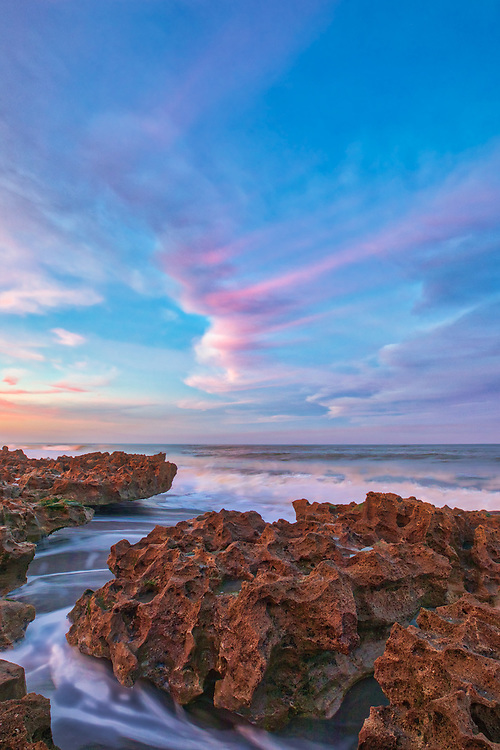 South Florida sunset photography from Coral Cove Park in Tequesta, FL of Palm Beach County, a perfect winter escape destination. That night, the waves of the Atlantic Ocean and the reef were beautifully illuminated by the sunset light painting them in warm hues. All Florida Tequesta Coral Cove Park photos are available for digital and print image licensing at www.RothGalleries.com. Please contact me direct with any questions or request.